When there comes a time that in order to move forward in life you have to make a permanent transformation, whether it be personal development or maybe you feel a need for business success coaching not, how does someone successfully fulfill this change in their life? Often more times than not, it is impossible for someone to make a permanent transformation without some sort of guidance to light their way. The power of coaching stretches far beyond the mental or emotional parts of a human being. It can also help get you to where you physically want to be in life. There lies in each and every one of our hearts the potential to find out what we were meant to do with our lives. However, it is not always easy to unlock the heart and therefore we could never fulfill our true purpose. Personal development coaching is about making progress and is an art of finding fulfillment and overcoming self-doubt. Finding out the truth is never easy when it deals with opening the heart. Our business success coaching is focused on unlocking the power within you. Remember, though, that you are naturally creative and resourceful and whole. Our Power Curve Coaching programs comprehensively address the various areas of your life as it currently is, how you want it to be, and every step in-between. Personal development coaching is not to be mixed with therapy. They are two entirely different things that are meant to unlock you in different ways. Your past traumatic experiences or ailments will not be discussed. We want to create a safe environment for you so that you may share what is necessary to create a plan to reach your desired destination in life. Moral judgment is not on the itinerary. Preserving your privacy and protecting information we receive from you is of the utmost importance to us. Confidentiality matters to us and while you are free to discuss openly about our relationship to others, we will refrain from doing so. You have secure coach-to-client confidentiality. Power Curve Coaching provides you with three programs that will ultimately help unlock the deepest, darkest doors inside you, to help build a successful business future. 6 months of individual coaching: Three 30 minute sessions per month: Total of 18 sessions. Schedule a FREE Discovery Session now! Power Curve Coaching offers additional services listed below. Even high-powered, highly-successful business persons need a little coaching every once in a while. Motivation can wane even when you’re at the top. 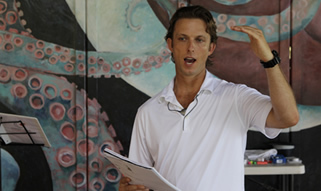 PCC can coach you back to your peak performing self. If you are an executive, or are self-employed, you deserve this too. Your company may pay for the coaching if it benefits your executive duties and if you own your own business, you can write it off! 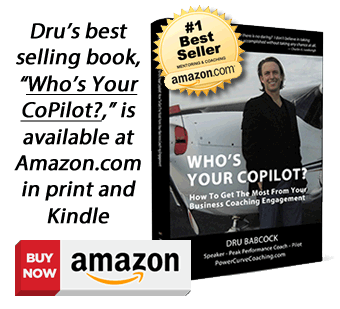 Dru Babcock is available for personal empowerment speaking engagements and workshops. PCC offers tailored programs that are made available to you and/or your company. PCC specializes in working with teens and young adults as well. Please call us for a free discovery session so that we can help get you started.